Audi, the German luxury car manufacturer has announced the 2017 season of its immensely popular experiential driving program – the Audi Q drive. The sixth edition of the multi-city Audi Q Drive program will be held across 30 dealer locations in India with overall 35 events planned for this year. Audi enthusiasts in these cities will not only get an opportunity to experience the legendary quattro technology of Audi’s popular Q range – Audi Q7, Audi Q5 and Audi Q3 but also the superlative style and performance of these sporty, progressive and sophisticated vehicles. Audi Q Drive is the most widespread program under the Audi driving experience. Travelling across the country, the Audi Q drive is executed on a custom-built offroading track, designed keeping in mind the key attributes and features of the Audi Q range, including especially Audi’s legendary quattro system. 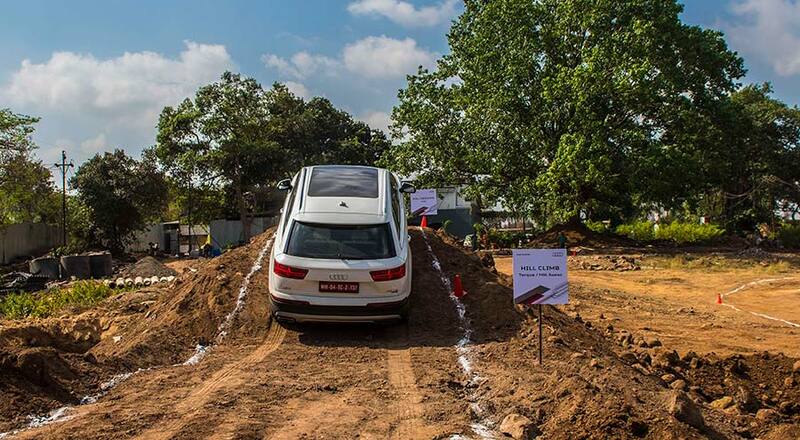 Customers enjoy driving on specially made off-road track and maneuver obstacles such as hill climbing, hill descend, slush, acceleration, braking, rumblers, axle twister and articulation and tilt angle. Over 9000 customers have participated in this program since its inception in India. 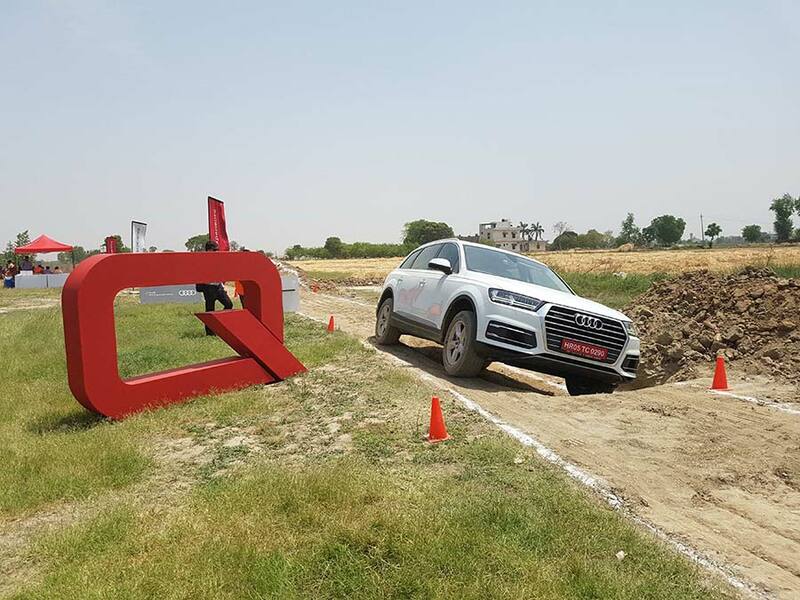 The Audi Q Drive program is executed within city limits, the Audi Q drive tracks are created specially across locations in India. Audi India has a team of instructors responsible for supervising the build-process of these tracks including Audi India’s racing talent Aditya Patel. The Audi Q Drive gives the enthusiasts a chance to drive the Audi Q range under trained supervision to understand the prowess of its advanced technology. The Audi model range in India includes the Audi A3 Sedan, Audi A3 Cabriolet, Audi A4, Audi A6, Audi A8 L, Audi Q3, Audi Q5, Audi Q7, Audi TT Coupé, Audi S5 Sportback, Audi RS 6 Avant, Audi RS 7 Sportback, and Audi R8 V10 plus available across India: Ahmedabad, Bengaluru, Bhopal, Bhubaneswar, Chandigarh, Chennai, Coimbatore, Delhi, Dehradun, Goa, Gurgaon, Guwahati, Hyderabad, Indore, Jaipur, Kanpur, Karnal, Kochi, Kolkata, Kozhikode, Lucknow, Ludhiana, Madurai, Mangalore, Mumbai, Nagpur, Nashik, Noida, Pune, Rajkot, Raipur, Ranchi, Surat, Thane, Udaipur, Vadodara and Visakhapatnam.